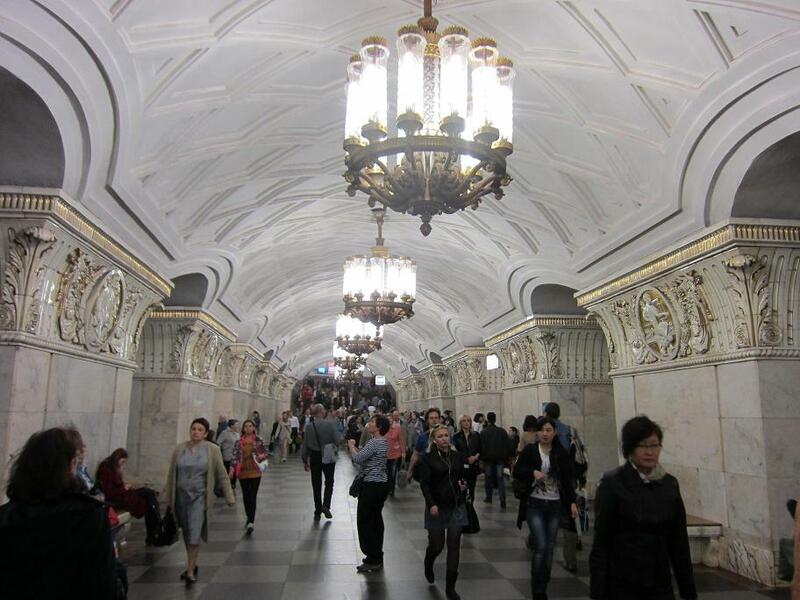 Moscow’s underground system is cheap, efficient and a very good way of getting around in a city populated by millions of people. Trains appear every couple of minutes and the twelve lines shift an astonishing average of seven million people a day. The metro is also getting bigger, with considerable expansion currently taking place and a number of new stations due to be open by 2020. 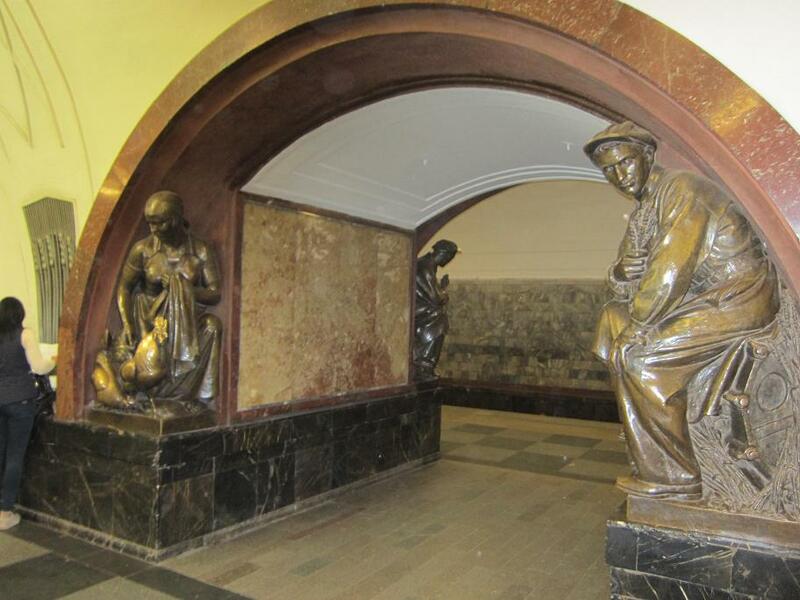 For the art lover, however, the metro is a treasure trove waiting to be explored. The range of artwork is remarkable and varies from station to station. Stained-glass windows, mosaics, bronze sculptures, marble statues and paintings catch the eye in the early stations of the metro system. The Koltsevaya, or Circle, is probably the most famous of the lines. 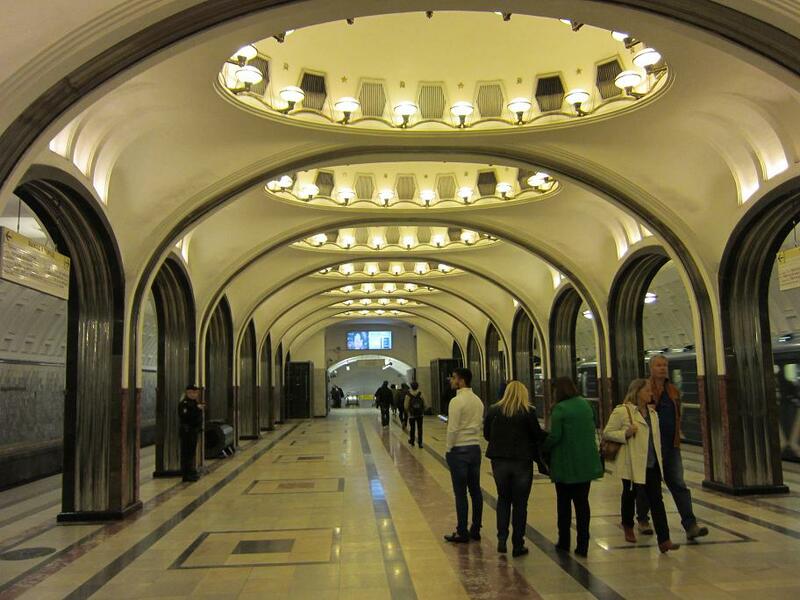 It is not the oldest, having being built in the early 1950s, but this was at the peak of the Stalinist architecture period and any of the twelve stations are worth a look. 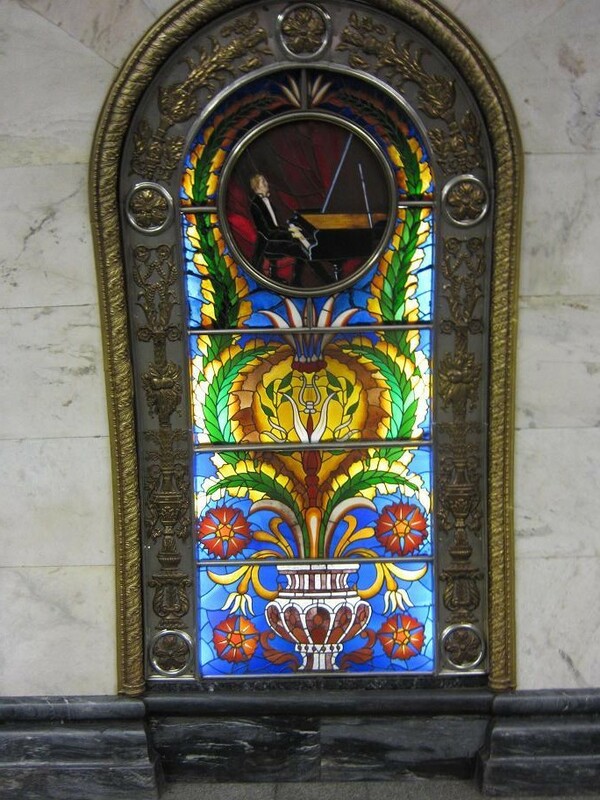 Novoslobodskaya is particularly notable for its stained-glass panels, which in turn are set in beautiful marble columns and surrounded by ornate brass borders. 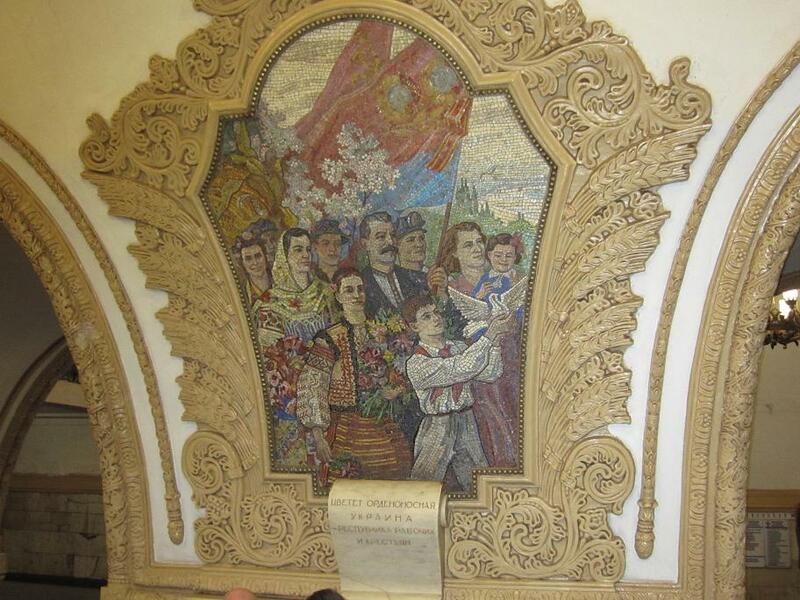 The station also displays a large mosaic by the artist Pavel Korin. The next stop, going clockwise round the circle, is Prospekt Mira. This is also adorned with white marble columns and the décor is on the theme of the development of agriculture in the Soviet Union. 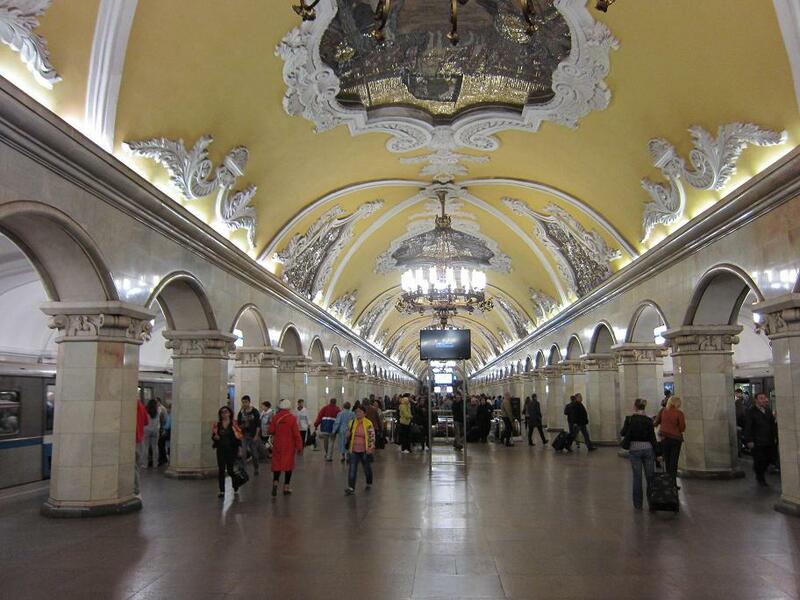 One more stop brings us to Komsomolskaya, which stands out for its flamboyant, yellow Baroque ceiling. There is another outburst of marble columns and the station looks more like a St Petersburg ballroom than a Moscow underground station. 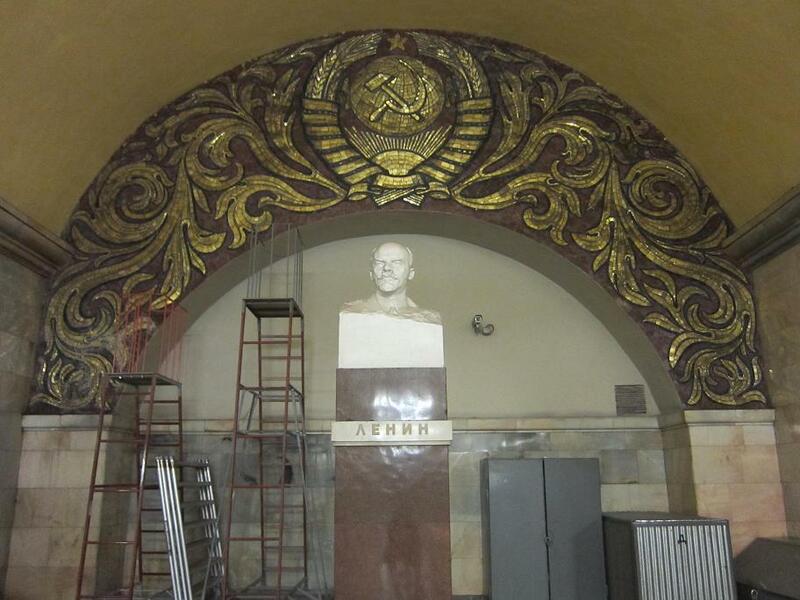 Lenin looks out rather sternly from a bust at the end of the hall between the two platforms. 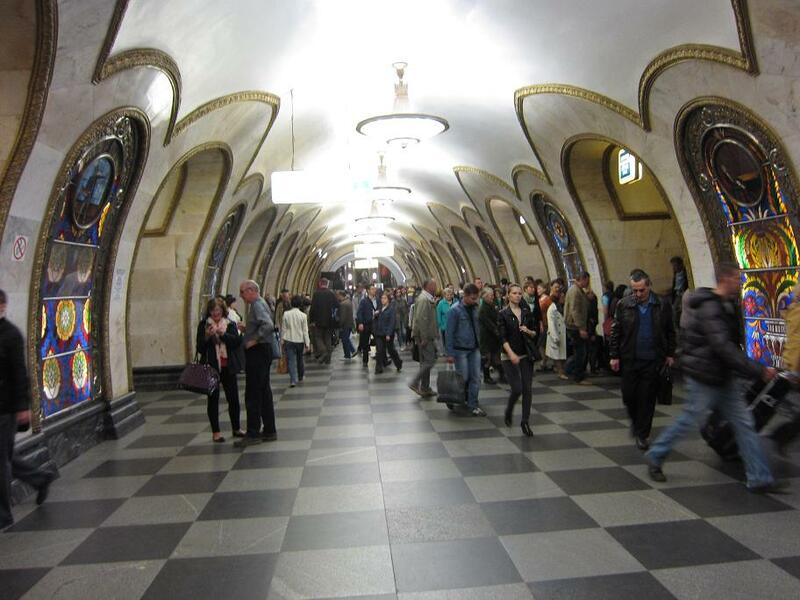 Further round the circle, Kievskaya has a dazzling collection of even larger mosaics, set between marble arches and set under chandeliers that would not be out of place in an opera house. 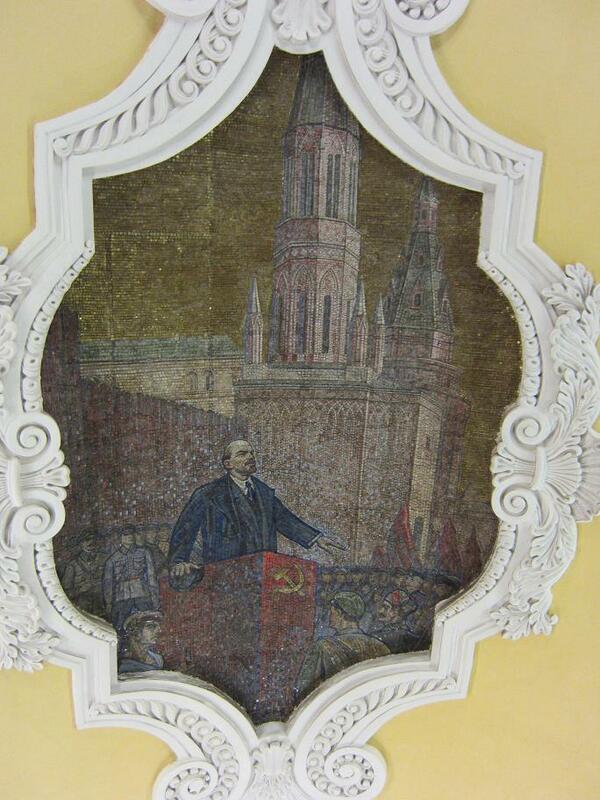 Another notable sight at Kievskaya is a large portrait of Lenin. 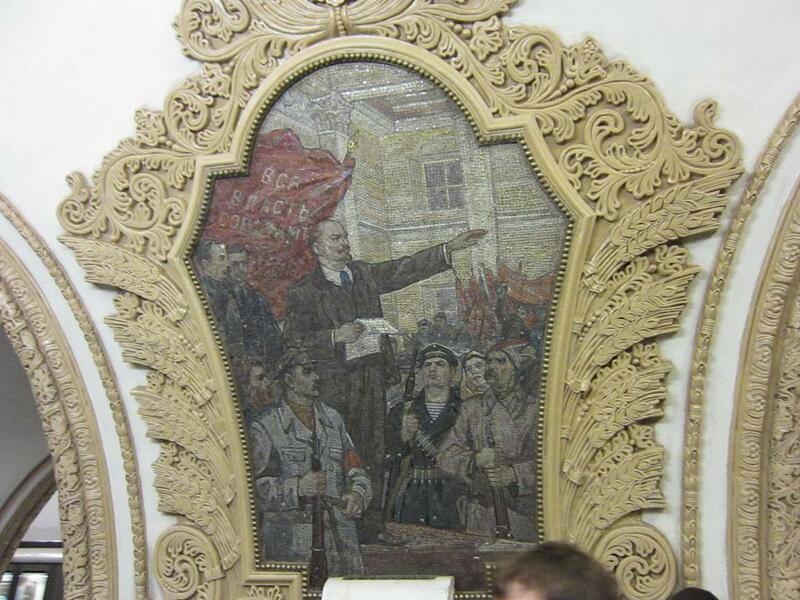 Kievskaya – surely not Trotsky? Away from the circle, on the Zamoskvoretskaya Line (green line), is the beautiful (and older) Mayakovskaya station. Changing from the circle at Belorusskaya, this is the next stop on the Zamoskvoretskaya, the columns in Mayakovskaya are particularly wonderful and the station has a charming elegance. This station has mosaics, too. 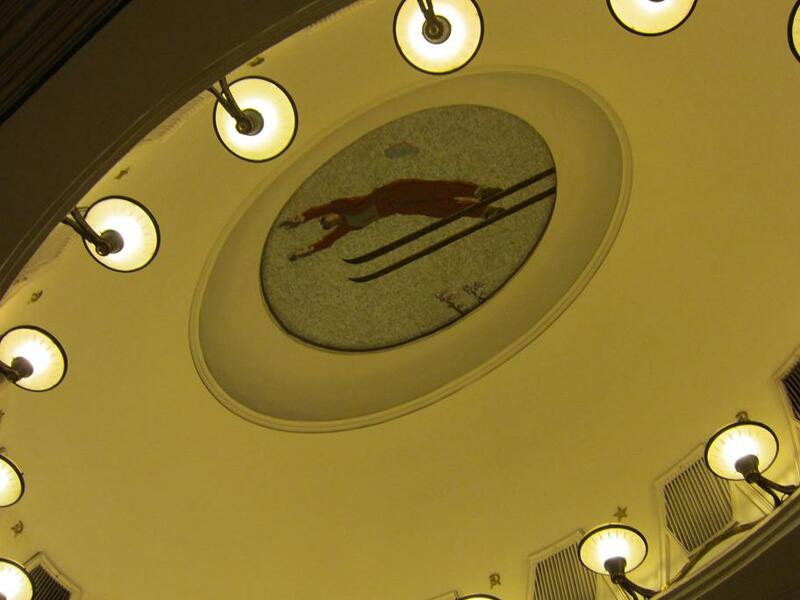 They are in the ceiling and are firmly in the Soviet Realist tradition. The best view is obtained by lying flat on the ground and looking upwards, though this is only recommended when the station is fairly quiet. One of the most famous stations requires another change of line. Ploshchad Revolyutsii (Revolution Square) station is on the Arbatsko-Pokrovskaya Line (blue line) and is another early 1950s construction. This is the ‘station of the bronze sculptures’, all 76 of them. Soldiers, workers, athletes and scientists stand guard at the two platforms and it is a remarkable sight. Note the statue of the guard with a dog whose nose has been discoloured and worn by the constant stream of people who rub it for good luck. 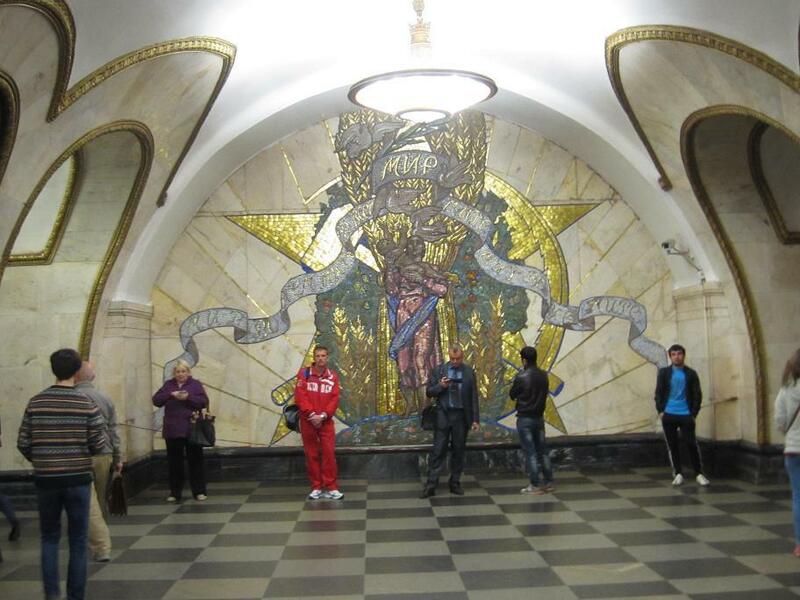 One other station (also on the on the Arbatsko-Pokrovskaya Line) worth a visit is Smolenskaya. It is another feast of white marble columns. 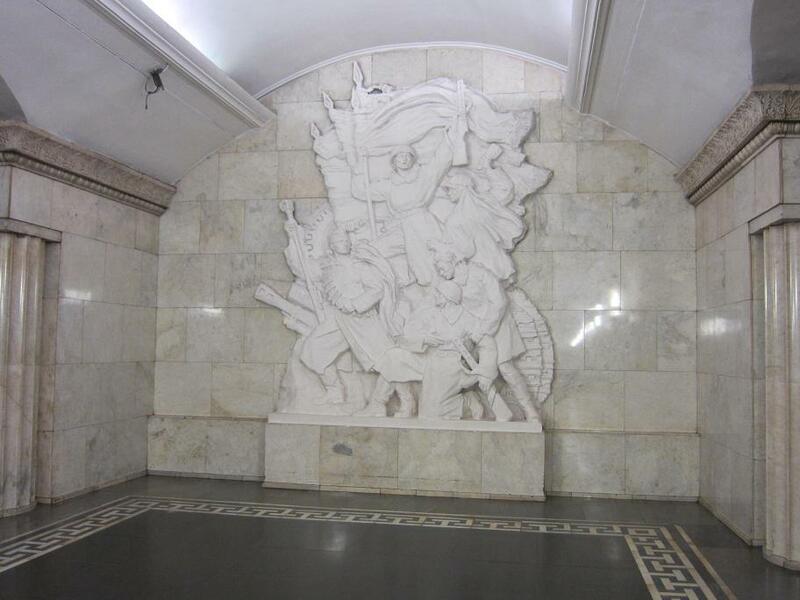 The most striking artwork is a bas-relief entitled ‘The Defenders of Russia, depicting the Red Army, or at least a small portion of it, in action. Trooping from metro station to metro station might seem, frankly, like a rather strange way of spending one’s time. 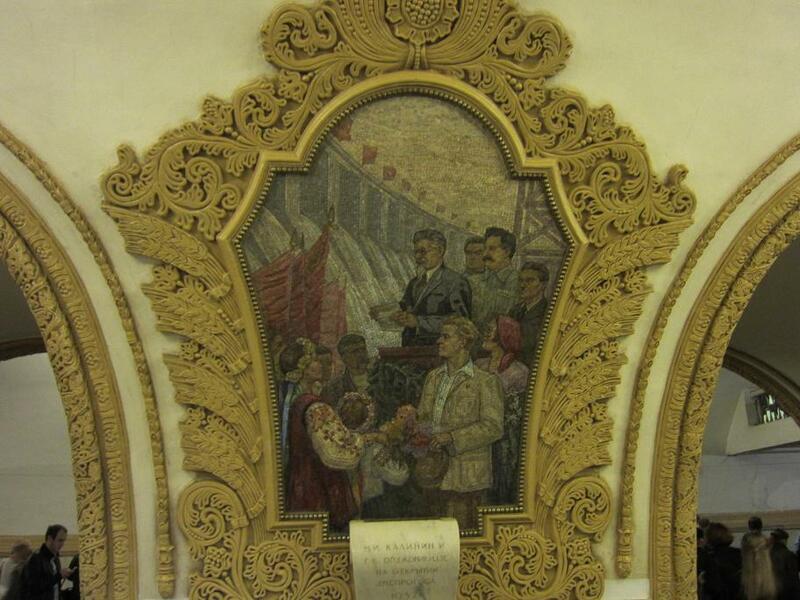 However, some of the stations and their artwork are so stunning that it is worth a couple of hours of anyone’s time. It’s good value too – assuming that you don’t leave any of the stations you visit, you’ll only need to buy a single ticket. There are sometimes complaints from English speakers that there are no signs or announcements in English on the metro. For goodness’ sake, this is another country with its own language and script. Would these same people expect to see and hear Russian and Cyrillic on the London Underground? The Russian alphabet has only 33 letters, many of which are the same as in the Latin script. It is not that difficult and surely part of the pleasure of travelling is taking in new experiences. Exploration is much more rewarding when you have some idea of where you are going and a little bit of effort enhances the reward. The train trip from Moscow is fast and comfortable, but is unlikely to find its way into a list of scenic rail journeys. The flatness of the countryside gives one the feeling of travelling across East Anglia or the Netherlands, but without any agricultural land or windmills to enliven proceedings. Four hours and ten minutes is impressively quick, though the non-stop trains reduce that time by half an hour. 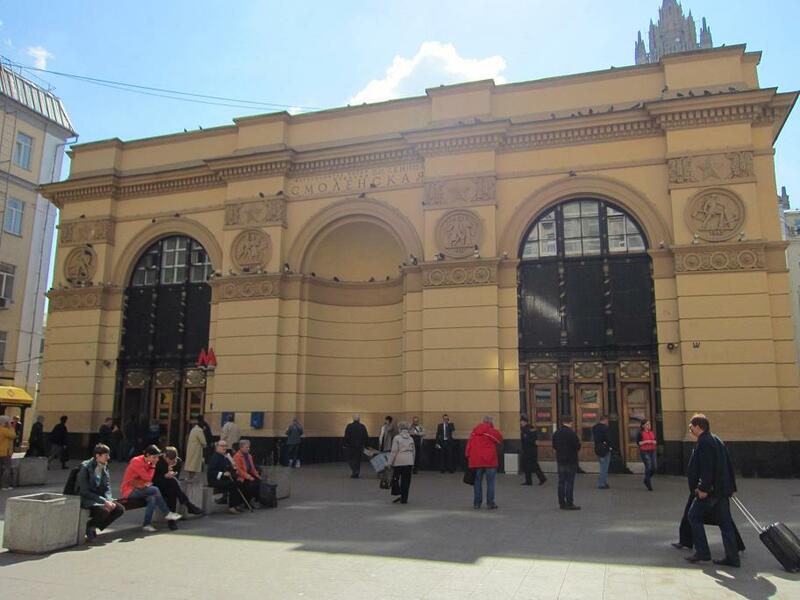 The Moskovsky railway station, twin of Moscow’s Leningradsky, awaits the traveller. From the Moskovsky, which is very centrally situated, it’s a short hop to the most famous thoroughfare in St Petersburg, Nevsky Prospect. The street, long and straight, appears with regularity in Dostoevsky’s Crime and Punishment and despite its modern day plethora of unimpressive restaurants and faux English and Irish pubs, retains a certain grandeur. 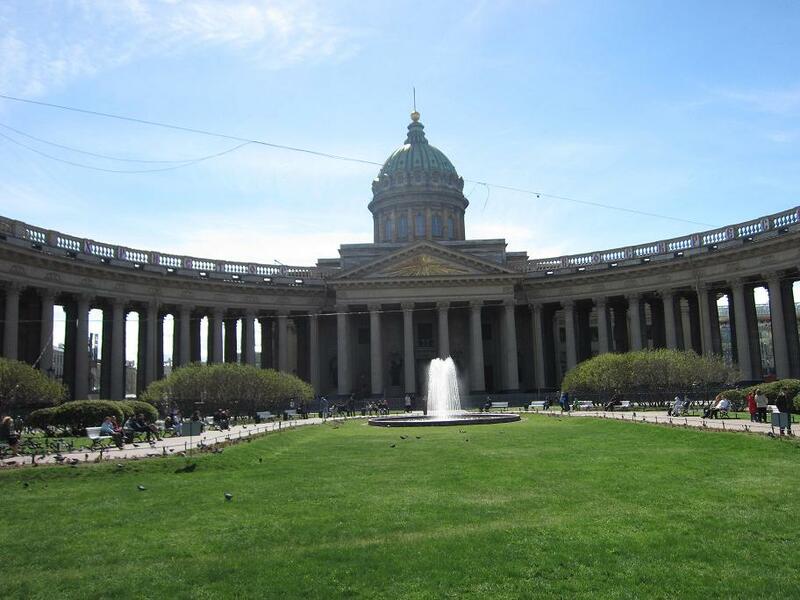 The vast neo-Classical Kazan Cathedral is impossible to miss as you venture along Nevsky. Its design was based on St Peter’s in Rome. 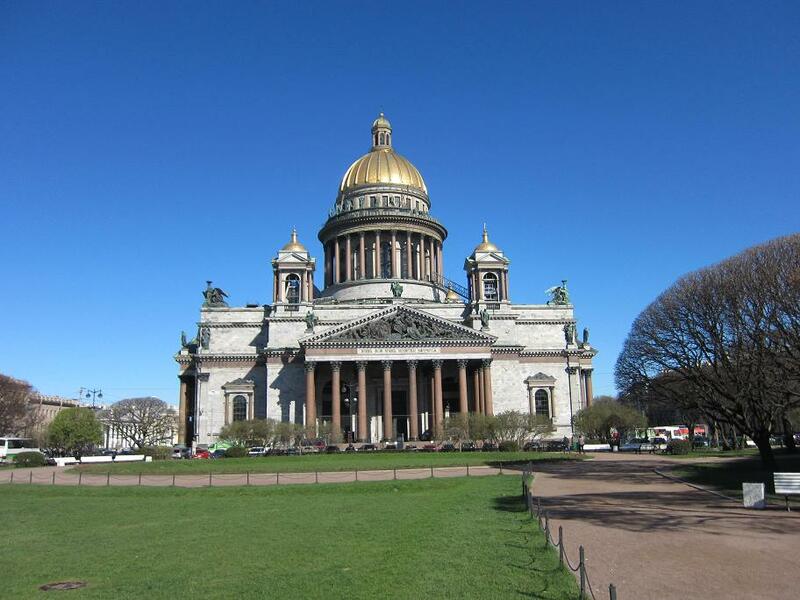 Shortly after it was built, the cathedral became essentially a monument to the Russian victory over Napoleon in 1812. 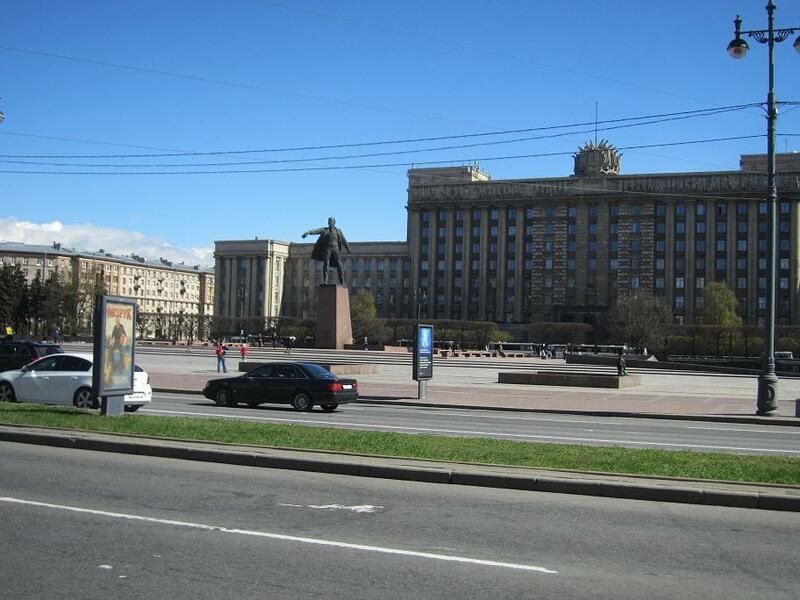 The two large statues outside the cathedral depict the victorious military commanders Kutuzov and de Tolly. St Petersburg does not lack for cathedrals. The biggest is St Isaac’s, also a huge neo-Classical edifice, built some years after the Kazan. The oldest is the cathedral at the Peter and Paul Fortress and it is here that most of Russia’s emperors and empresses were buried. 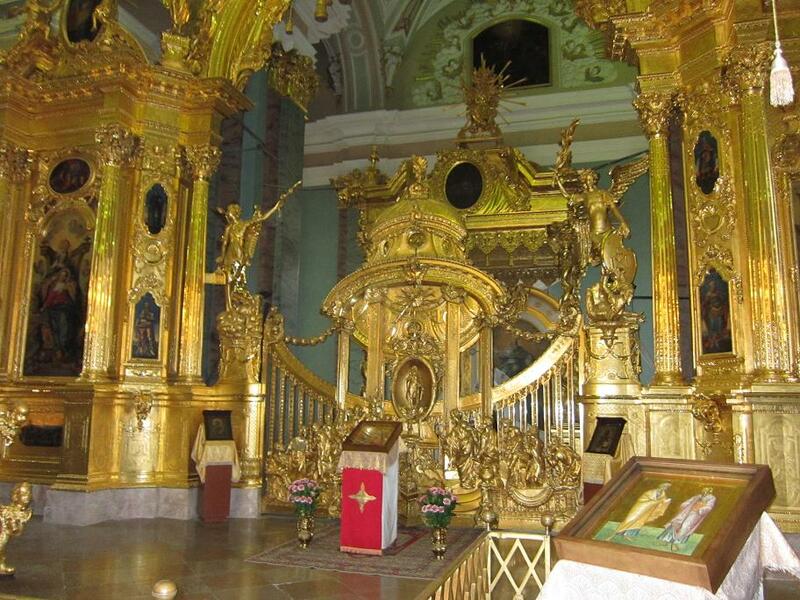 Even by the lavish standards of the Russian Orthodox Church, the Peter and Paul Cathedral is magnificently decorated and features an unusual and decorative iconostasis. It is, though, Baroque that dominates the city. 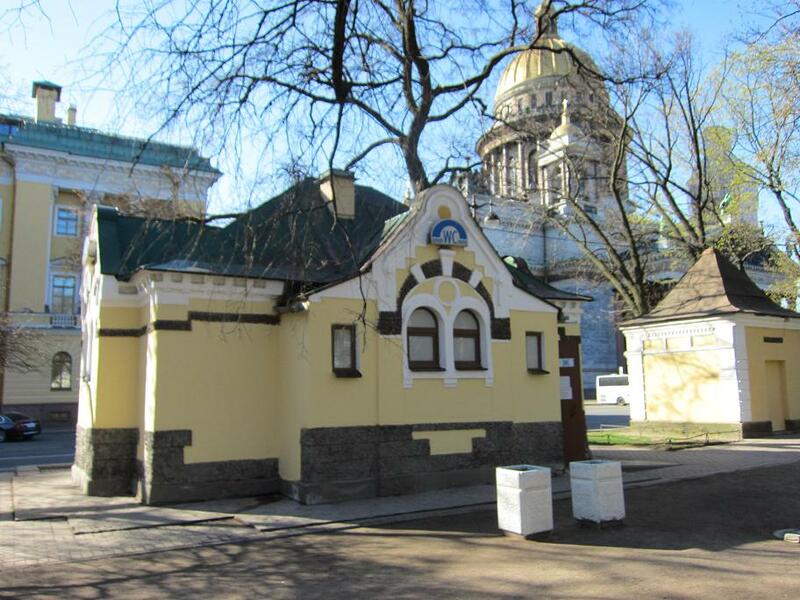 Baroque is everywhere, and in the park near to St Isaac’s Cathedral is a beautiful little building that turns out to be…a public lavatory. Yes, even the toilets are Baroque. 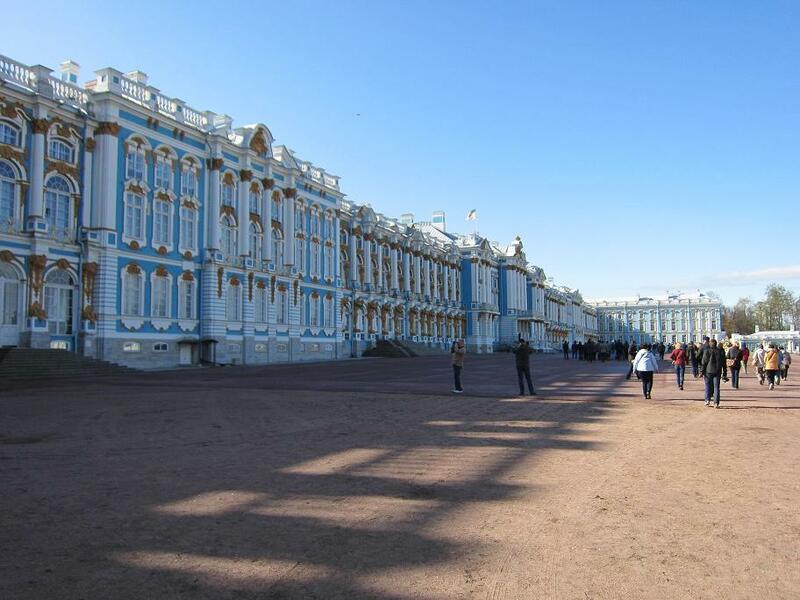 At the other end of the size scale, but also undeniably Baroque, is the Winter Palace, the largest building of the complex that makes up the Hermitage. 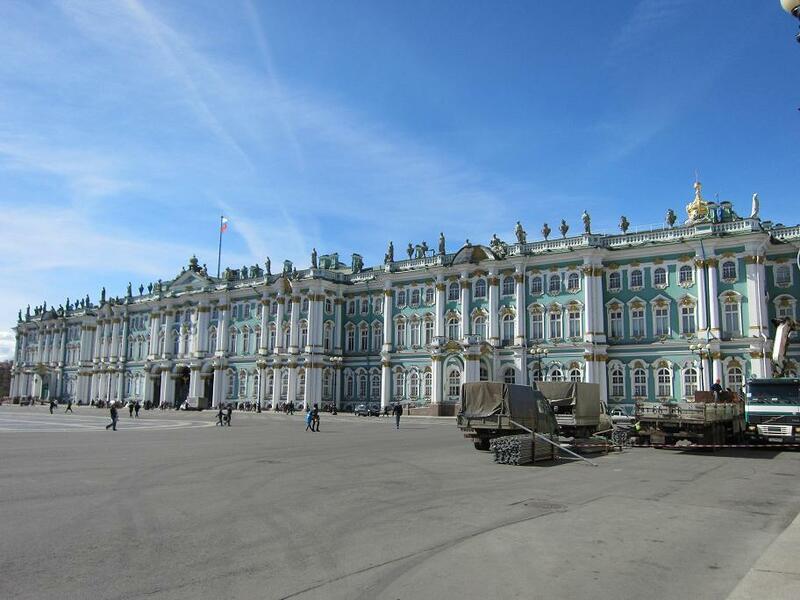 The Winter Palace was designed by the prolific architect Francesco Bartolomeo Rastrelli, who was responsible for many outstanding Baroque structures in Eastern Europe. Ironically, while the Winter Palace and Hermitage are associated with Catherine II (‘the Great’), the empress was not a fan of the Baroque. 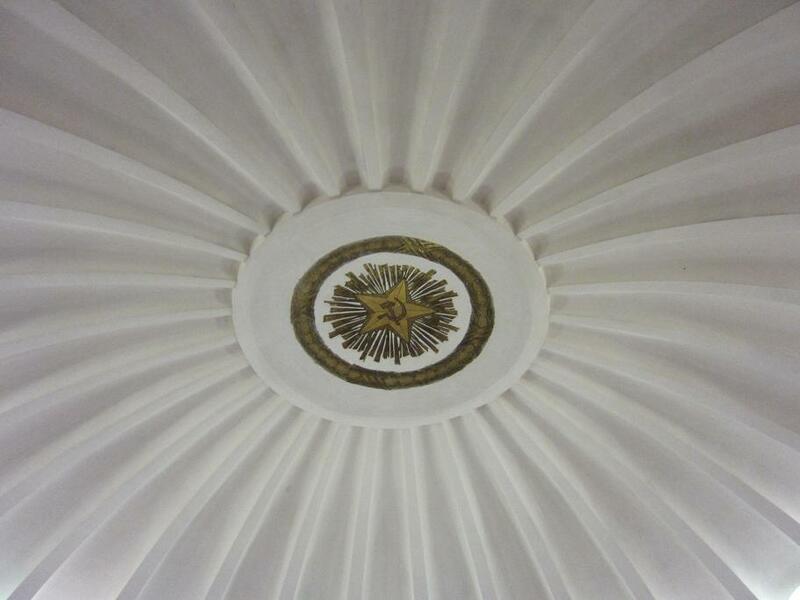 It was the previous empress, Elizabeth, who commissioned the Winter Palace, as well as the Smolny Convent, where the empress intended to spend her final days as a nun. However, she died before the completion of the convent. Another of Rastrelli’s great Baroque works is the Catherine Palace, situated in the town of Pushkin, about fifteen miles from St Petersburg. The present palace is not the original, built for Catherine I. It was completely rebuilt, on the orders of Elizabeth, by Rastrelli and is quite simply an outrageous, over the top, glorious and ridiculous monument to the excesses of imperial grandeur. The Grand Hall is a breathtaking and vast ballroom of ornamentation, mirrors, chandeliers and gilded carvings. 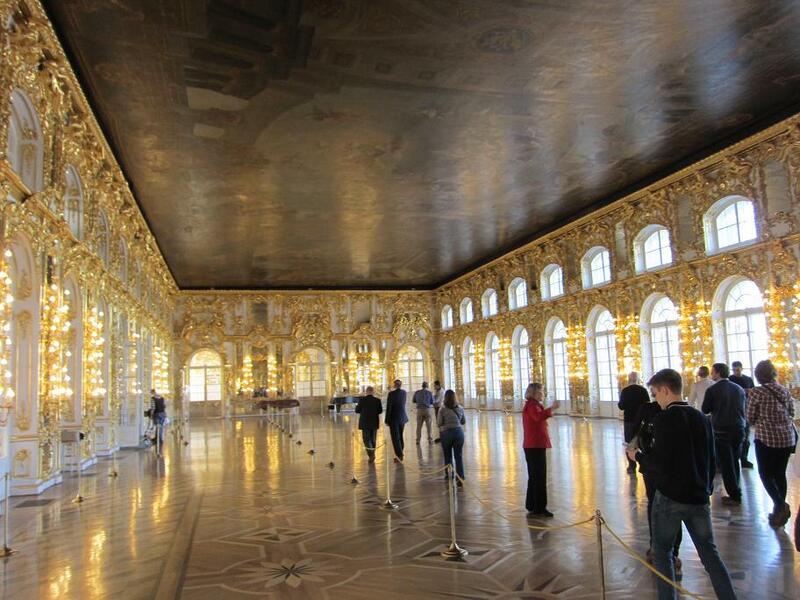 The Palace’s best-known room, though, is probably the Amber Room, now restored after being looted by the Nazis during the Second World War and taken to Königsberg. The refurbishment was, ironically, completed with amber from the Baltic region, much of it from the city of Kaliningrad, formerly known as the German city of Königsberg and now part of a small enclave of Russia,. If the rooms at the palace are lavish, so too the grounds. Gardens, lakes and pavilions stretch out over a large area in a further display of aristocratic decadence. Strolling around the gardens, one noticeable feature is how tame many of the wild birds are, testament to the sheer number of visitors the palace attracts. The Mariinsky Theatre rivals Moscow’s Bolshoi. It was named after its patron, the Empress Maria Alexandrovna and is a huge building that mingles the Baroque and Neo-Classical. 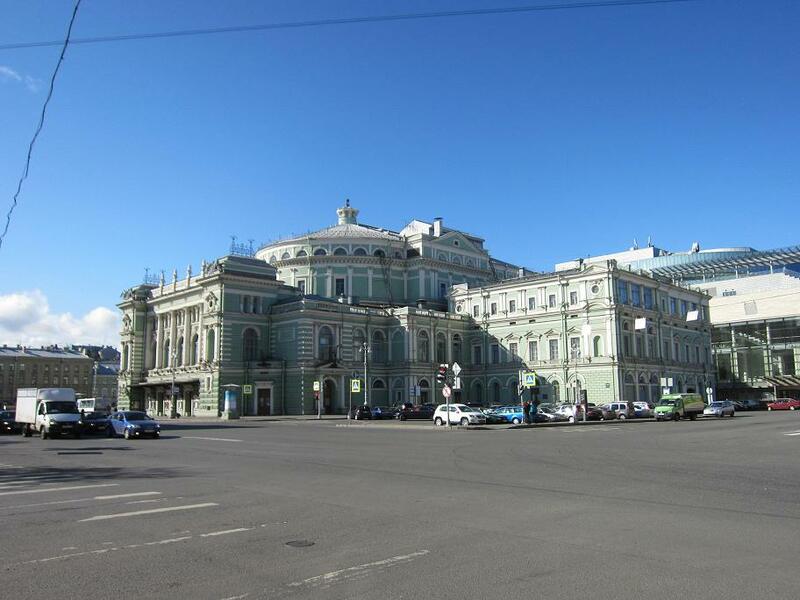 There are regular operas, ballets and orchestral performances, though those wishing to view a performance should note that there is a second and new hall, the Mariinsky Theatre Concert Hall that is not as aesthetically pleasing as the original. St Petersburg, like Moscow, is not cheap when it comes to dining out. It is, though, generally a little less expensive than the capital. Being quite a cosmopolitan place, there are plenty of options for the vegetarian. One of these is The Idiot, one of many establishments that tip their hat in the direction of Dostoevsky. There menu is varied, with a fine array of vegetarian options, including a delicious borsch. Prices are not extortionate; around 25 pounds for three courses and three beers is most respectable. The Idiot also sells very palatable Georgian wine. The best-known Indian restaurant is Tandoor, which is, like The Idiot, close to St Isaac’s. The vegetarian options are a bit limited, but virtually next door is Tandoori Nights, which has an abundance of vegetable dishes. In an inversion of the usual situation, the beer here is relatively cheap. There are several establishments that deal in beer, great quantities of it, in fact. Unfortunately, there seems to be something of an obsession for cod Irish and English pubs and while some of them at least have the decency to sell reasonably good beer, those with taste may prefer somewhere like the Craft Bier Café, where the atmosphere is more leisurely and civilised. With 40 or so beers on tap, it shouldn’t be terribly difficult to find something to suit. Those with extremely fussy palates can always try Pivnaya Karta (‘Beer Card’), which has an extraordinary selection of more than 400 different beers. For a nightcap – though definitely not as a session ale – try one of the array of Russian Imperial stouts on offer. Both Pivnaya Karta and the Craft Bier Café are close to Chernyshevskaya metro station, a blessing for over-indulgers. 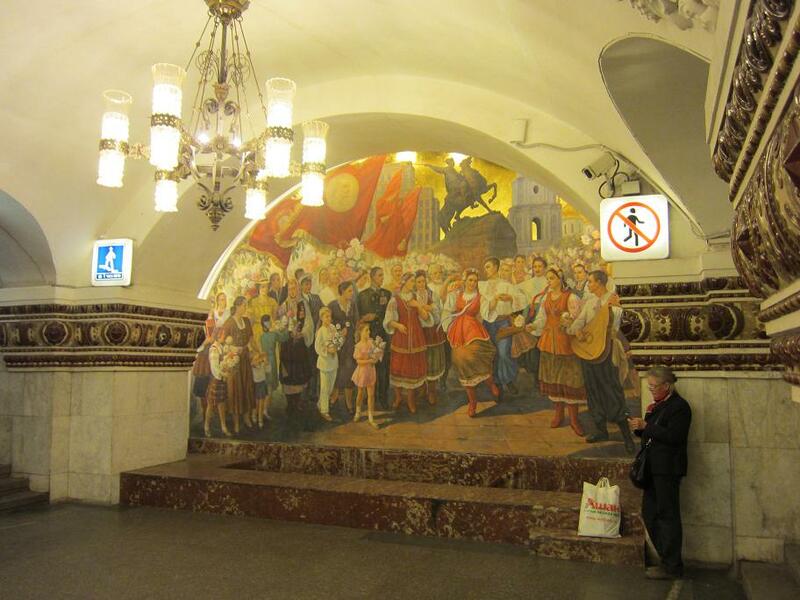 The St Petersburg metro is relatively new, having started in the 1950s. It is growing ever larger, with further expansion planned. Because of the city’s location – it is essentially in the middle of a coastal wetland – most of the stations, even outlying ones, are very deep. 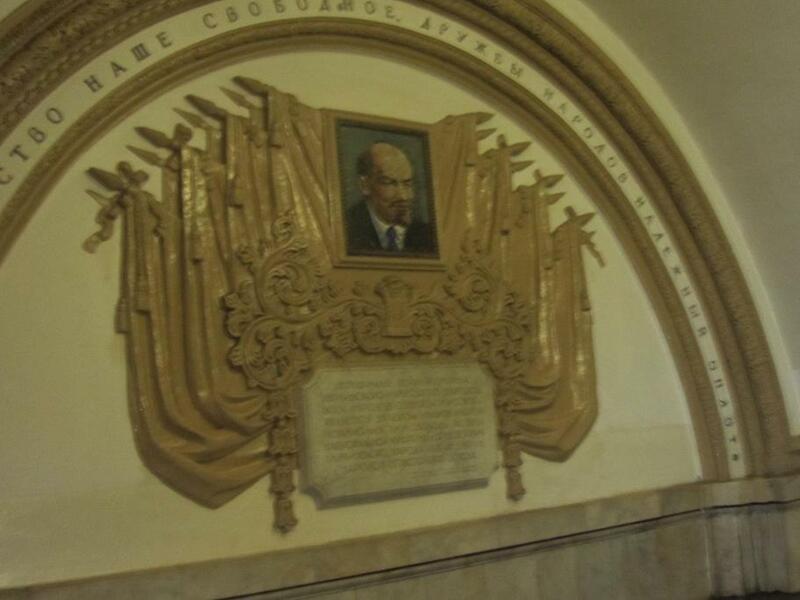 As with Moscow, some of the stations are worth visiting purely from an aesthetic point of view. It is, though, one of the few ‘shallow’ stations that is perhaps the most attractive. Avtovo has a Neo-Classical façade and inside, there are white marble columns and ornate chandeliers, along with a mosaic depicting the blockade of the city from 1941 to 1944. 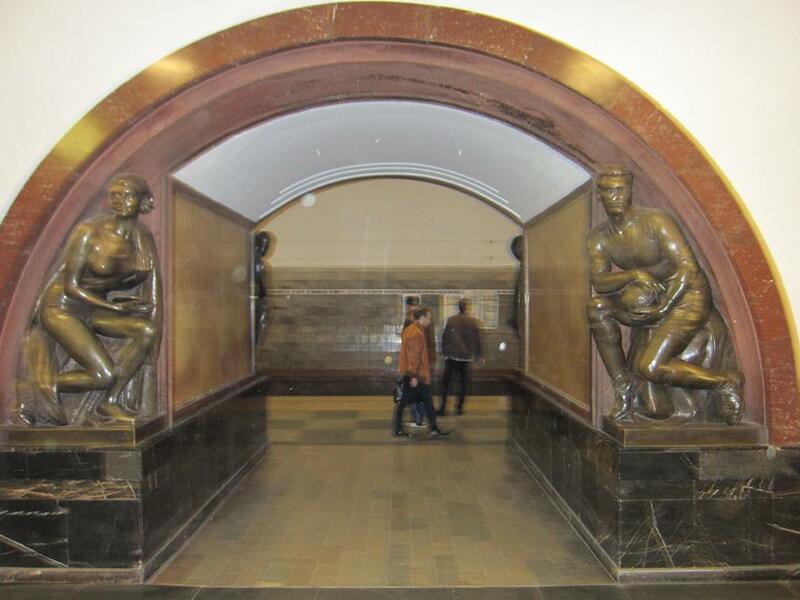 Those travelling to or from the airport will pass a war memorial and a brief schooling in the Cyrillic script will tell you that it refers to Leningrad, the name of the city from 1924 to 1991. A quick glance at your boarding card will reveal the airline code ‘LED’, so at least in international airline terms, the city retains something of its former name. That sums up something of St Petersburg’s character. 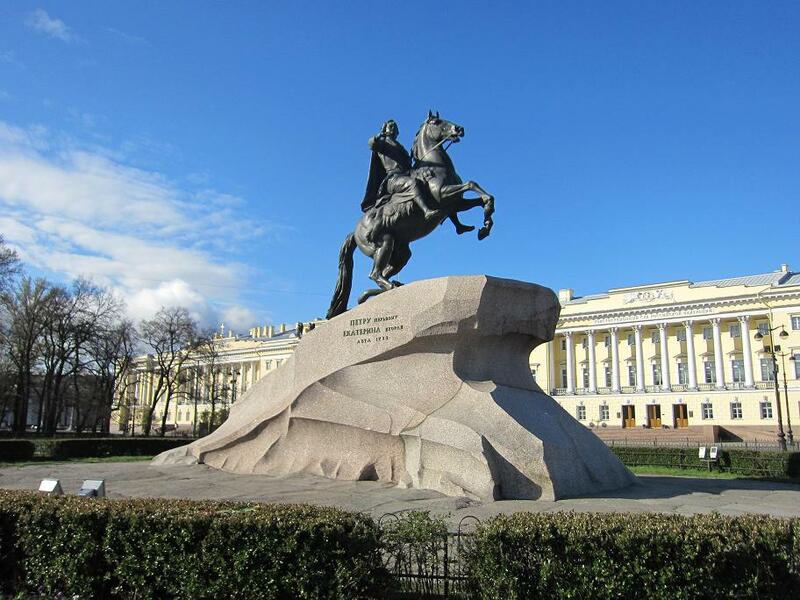 The city is full of statues; Peter the Great, Lenin, Gogol, Glinka, Catherine the Great, Gorky, Nobel, Dostoevsky, Nicholas I, Pushkin and a cast of many others. Imperial Russia, Soviet Russia, industrial Russia and cultural Russia all meet in St Petersburg. With its rivers, canals, beautiful buildings and wonderful museums, it is little wonder that so many people undertake that bureaucratic joy that is completing the form for a Russian visa.